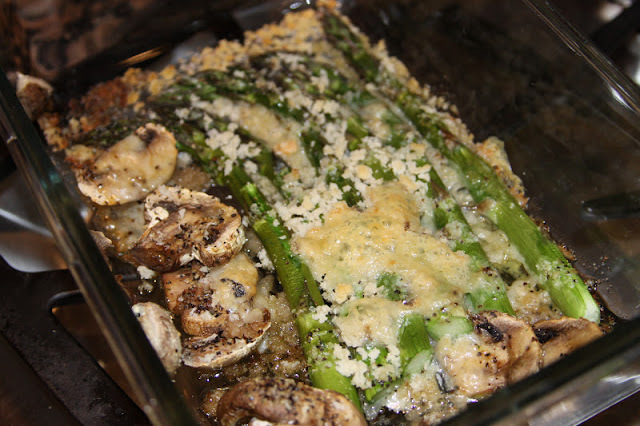 Since I LOVE asparagus and I have had lots this spring from my father I keep throwing it together a little differently every day it seems. 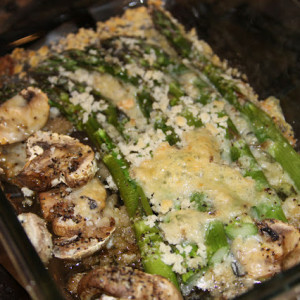 I made this for the bulk of my dinner the other night but this would serve 2 normally or use a whole pound of asparagus it would serve 4. House Seasoning - (salt, pepper, and garlic) to taste. 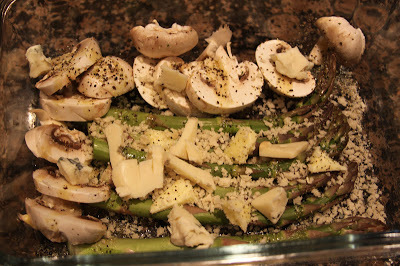 In a baking dish place the asparagus, and sliced mushrooms. 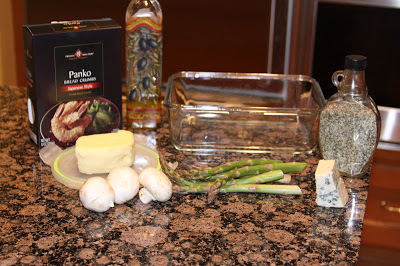 Then spread the panko crumbs over the asparagus then crumble the butter and cheese over everything else. Then drizzle a little Olive oil and seasoning to your liking. 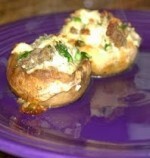 While these are not the best pictures it tasted so good. I love the taste of the blue cheese and little crunch of the bread crumbs.